We’re so thankful for the generous hearts of those in our iVoterGuide family, and we stand amazed at the way God is using His people to be salt and light during times of trial. According to a recent article in the Daily Caller, Christians are providing as much (or more) relief to hurricane victims than FEMA. What a testament and opportunity to glorify God! 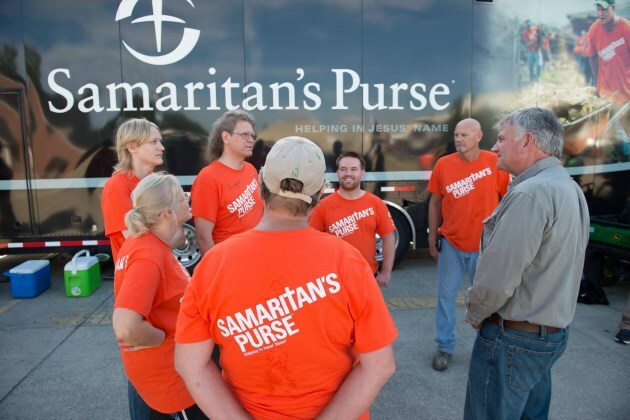 From the Caribbean to Texas and Florida, Samaritan’s Purse has been one of the first on the ground to minister to those in need. Founded by Billy Graham, their mission is to meet the needs of those who are victims of war, poverty, natural disasters, disease or famine — and to do so in the name of Jesus. 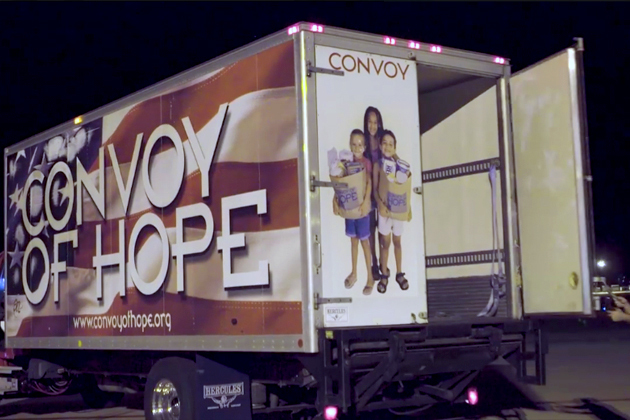 Inspired by the people who helped them after their father was killed by a drunk driver, the Donaldson family founded Convoy of Hope with the mission to bring faith-based, international, humanitarian relief to those who are impoverished, hungry and hurting. Click on one of the photos below to see videos of how they’re helping. 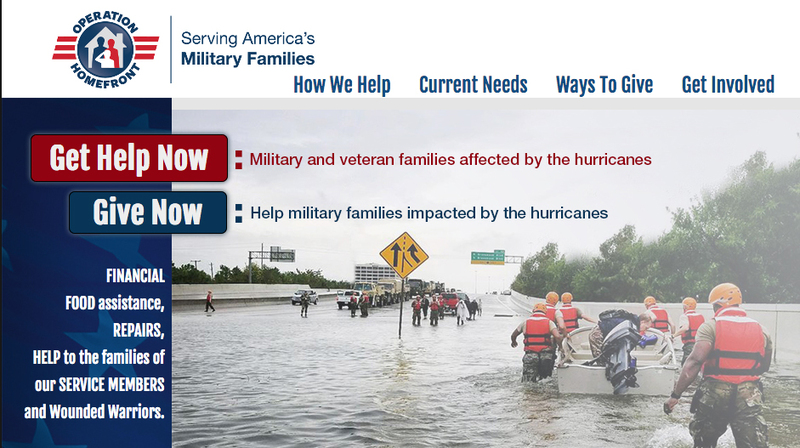 Finally, with supplies and contractors headed to help disaster victims, some of the organizations helping our veterans, service members, and their families are seeing increased cost as they strive to serve those who served us. 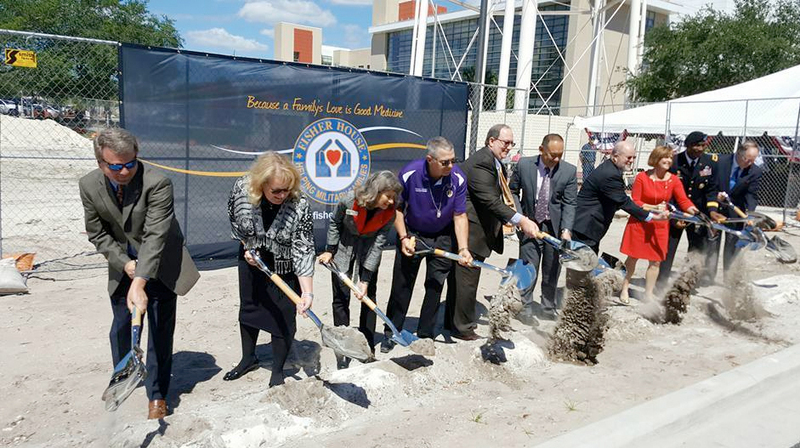 Operation Homefront and Fisher House are both reputable organizations whose programs depend on building and material costs and who will be seeing increased need in the months ahead. Please consider them as you make donations, as well. All of the organizations listed above have been given a 4-star rating by Charity Navigator. We highly recommend using their tool before giving to any 501(c)(3) organization, as (much like us!) they sift through millions of financial records to evaluate charities and equip people to be better stewards.May God bless you as reach out, and may we continually be His hands and feet in a hurting world.